We offer a full bespoke service using the finest fabrics you require from all the leading suppliers in traditional and modern designs. If you want to supply your own material we will happily work with you. Antique furniture was made using different construction and padding techniques from today. Therefore re-upholstering antique furniture is a specialist skill. Matt of Browning Restorations is experienced and equipped to deal with antique style furniture in a sympathetic way. 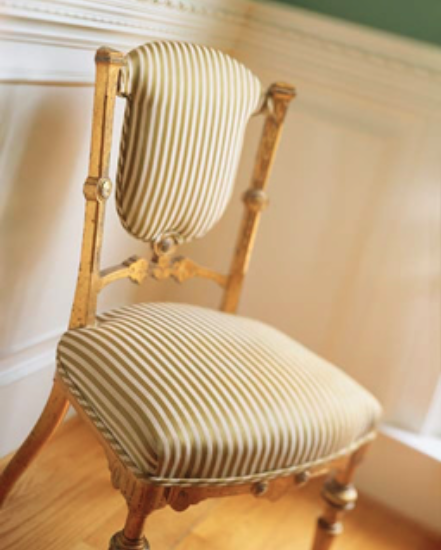 Re-upholstering antique furniture is quite time consuming, and a rushed job quickly becomes apparent, when the seat area becomes bumpy or sinks. Matt takes time over each item of furniture that he upholsters to make sure it is done correctly and it will become an heirloom of the future. Matt will pay attention to detail, making the finished product an investment for years to come. Please contact us about your upholstering needs.